Ryanair pilots in the Netherlands will join a walkout by their colleagues in four countries tomorrow after claiming the airline is taking legal action to stop them going on strike. The Dutch VNV union said it is “furious” after being told the budget airline is going to court in Harlem today to “prevent a Ryanair pilot strike in the Netherlands during summertime”. “The Dutch Airline Pilots Association (VNV) is surprised but also furious about this attack on Dutch labour rights,” said a spokesperson. In a statement, the union said the European pilot strike should be a “wake-up call” for Ryanair management and claimed the legal threat made its decision “easier”. It said its demands were modest, including having Dutch law apply to contracts, no more “bogus” self-employment, and “sufficient” sick pay and pensions. Ryanair did not respond to requests for a comment on the union’s statement. The number of passengers facing flight cancellations tomorrow has risen to 67,000 as pilots in five countries – including Ireland – are set to hold a 24-hour stoppage. A total of 20 flights are being cancelled to and from Ireland, 22 in Sweden, 104 in Belgium and 250 in Germany, after Vereinigung Cockpit (VC) announced its members would join the industrial action yesterday. This brings the total number of flights that will be grounded to 396 – without counting any potential cancellations in the Netherlands. VC announced its members will strike from 3.01am tomorrow until 2.59am on Saturday. In a statement, it claimed all flights scheduled to depart from German airports would be affected. 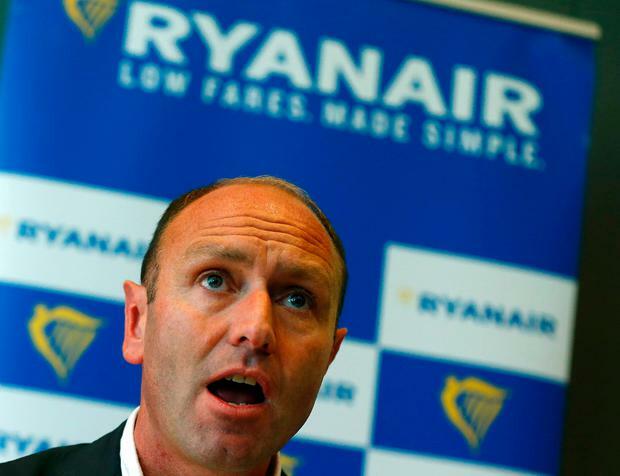 The union said all permanent pilots at Ryanair stations in Germany would strike. It said it had received no “improved offer” from Dublin. A Ryanair spokesperson said it had cancelled 250 out of more than 2,400 flights scheduled to operate in and out of Germany tomorrow. It accused VC of refusing to give seven days’ notice of the “unjustified” strike so it could minimise disruption. It said the strike is unnecessary as Ryanair sent VC a revised proposal last Friday on a collective labour agreement and called on the union to meet for talks. Ryanair’s Kenny Jacobs said it invited VC to meet yesterday but it did not respond to the invitation. “Our pilots in Germany enjoy excellent working conditions,” he said.